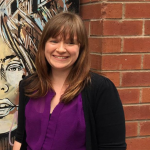 Bethan has been working in market research and analytics for a decade, with the overarching goal of bringing the two closer together. In 2018 she co-founded Honeycomb Analytics, an agency that exists to do exactly that: bring together WHAT customers do with WHY they do it. She is an advocate of utilising existing data and fusing different sources to give a clearer idea of context. This involves using data that is publicly available, existing business data and insight, and primary research.